Software for building and hosting web sites at no cost for 3 years! I’m excited to announce – WebsiteSpark – a new program from Microsoft that provides software and support for building web sites, at no cost for 3 years. WebsiteSpark provides software licenses that you can use for 3 years at no upfront cost (there is only an exit fee of $100 payable upon exit from the program). IIS7 Load Balancing & Routing Module Now Available! The IIS team has just shipped the Microsoft Application Request Routing 1.0 module for IIS7!!! Application Request Routing (ARR) enables Web server administrators and hosting providers and to increase Web application reliability and scalability through rule-based routing and load balancing of HTTP server requests. In SP1 for Visual Studio 2008 and Visual Web Developer 2008, C# introduced a new feature to provide ‘live’ reporting of compilation errors. Visual Studio 2008 SP1 and Visual Web Developer 2008 SP1 are now available for download. This blog post highlights the major changes in SP1 related to web development. 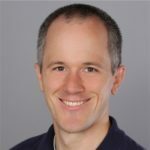 Mike Volodarsky on the IIS team just published some very useful articles describing how to setup and configure IIS7 to properly work with Visual Studio 2008 and Visual Studio 2005. Last year, we made a post to the IE team blog about the removal of the DHTML Editing Control from the Windows Vista. A Windows application that relied on the DHTML Editing Control would not work in Windows Vista.